What happens when your best friend gets what you've always wanted? Krissie and Sarah - best friends for years - have always wanted different things from life. Krissie has no desire to settle down, whereas Sarah married a doctor in her early twenties and is dying to start a family. So when Krissie becomes pregnant after a fling and Sarah can't seem to conceive, things get a little tense. Krissie and Sarah decide to go on holiday along with Sarah's husband in the hope of getting their friendship back on track. But what starts as a much-needed break soon becomes a nightmare of sexual tension, murder and mayhem..."Outrageous, clever, funny, poignant. 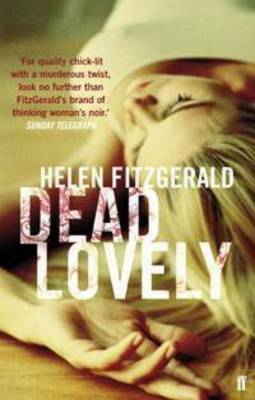 Helen FitzGerald really is one to watch". (Mo Hayder). "A gripping, addictive psycho-thriller". ("Big Issue"). "Gloriously black comedy". ("Herald"). "Great fun". ("Tatler").